In April, the Obama administration required automakers to boost average fuel economy by 5 percent annually, building to 35.5 mpg for 2016 models. In May, Obama ordered federal regulators to release a timeline and potential fuel economy targets for 2017-2025 models. WASHINGTON -- The Obama administration said today it may require automakers to increase the average fuel economy of cars and light trucks to as much as 62 mpg by the 2025 model year from 35.5 mpg in 2016. The government's preliminary proposal was disclosed today as part of deliberations to reduce fuel consumption and tailpipe emissions by 3 percent to 6 percent a year from 2017 to 2025, regulators said. 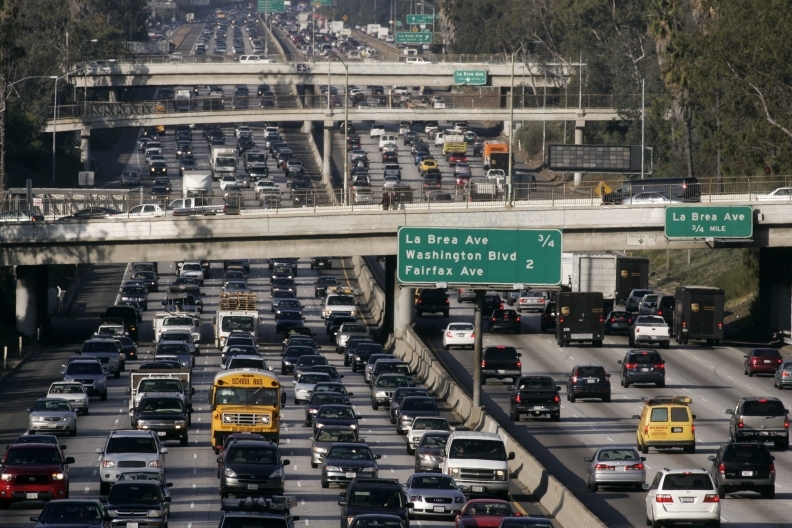 The targeted cuts in fuel use and emissions would call for new fuel economy standards of between 47 mpg and 62 mpg by 2025, the U.S. Environmental Protection Agency, the U.S. Transportation Department and the California Air Resources Board said. “Advanced technologies can be used to achieve substantial reductions in fuel consumption and (greenhouse gases),” the regulators said in a 245-page preliminary analysis. Earlier this year the administration laid out new fuel economy goals for the 2012-2016 model years. Today's so-called “technical assessment” is the first step in a lengthy regulatory process to set targets leading up to the 2025 model year, partially in an attempt to offer more certainty to automakers. A second regulatory analysis is due by Nov. 30 following discussions with the auto industry, environmental groups and consumer advocates. The administration won't submit an actual proposal for public comment until September 2011, an EPA spokeswoman said. Only after comments to that formal proposal are reviewed will the agencies adopt actual standards. Automakers today applauded the administration's continued use of a unified regulatory approach that includes a single plan by federal and state authorities. At the same time, though, they plan to weigh in on the preliminary targets under consideration, and particularly on the technologies and costs required to achieve the goals. The administration's targets “are based on very preliminary and incomplete data at this point, and inevitably will change as more information is brought to the process,” said the Alliance of Automobile Manufacturers. The group represents Toyota Motor Corp., Ford Motor Co., General Motors Co. and other automakers. Consumer advocates also intend to make their views known. “We look forward to convincing the agencies that 60 mpg is technically feasible and economically practicable, as well as good for consumers and the nation,” said Mark Cooper, research director for the Consumer Federation of America. In its analysis released today, the government said the increased costs to engineer and produce a 2025 vehicle under the stricter standards being considered would be more than offset by fuel savings over the life of a vehicle. Initial development costs for a 2025 vehicle would rise by between $770 and $3,500, depending on the targets and technologies ultimately adopted, the report said. But consumers would typically save between $4,900 and $7,400 over the life of a vehicle, it said.